Yeah, but: It cuts stuff – is anything else about it important? The Long Version: Sebenza. 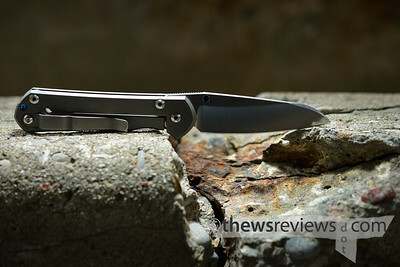 I first heard its name in reverent tones when I joined the usenet alt.rec.knives eighteen years ago, and I've been seeing it mentioned, even if it's only as an aside, almost every time I've researched a higher-end folding knife. 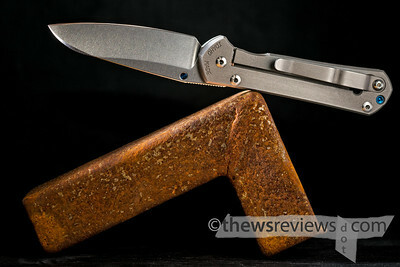 This is the knife: there are a lot of other really good pocket knives out there, a few costing more and most costing less, but sooner or later they're all compared to a Sebenza. Making the jump up to the Sebenza wasn't something I did easily. I read every review I could find online, watched the beginnings of many YouTube reviews, and spent a few weeks going through my knife box to revisit some of the favourites that I've been neglecting since buying my Spyderco Caly3. I decided that the Small Sebenza would suit me best, and that it would make a great self-present for Christmas. 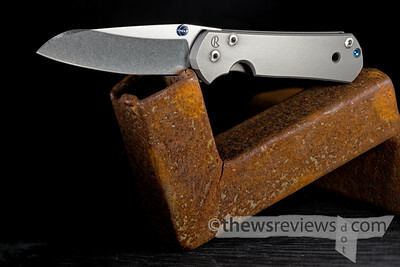 But echoing through many contemporary Sebenza 21 reviews was another word: Insingo. This is a Sebenza variant with a different blade shape that seems better suited to my typical urban-work tasks than the traditional woodlands-hunting drop point pattern. Apparently it's in low-volume production, despite not being mentioned anywhere on the Chris Reeve Knives site, so when I found a dealer with one in stock I grabbed it. In early September. I have impulse-control issues. Reviewers invariably call the Insingo's blade shape "a modified wharncliffe", but doesn't come close to describing what it's good for. A wharncliffe – similar to the sheepfoot – has a straight cutting edge and a spine that meets it in a blunt point. The "modification" is that the Insingo inherits a subtle belly and has a narrow but unsharpened swedge. It's extremely strong with excellent penetration ability, and it's very easy to slip between the taped-down flaps of a cardboard box without hurting the contents. That's not as tacticool as the chisel-tipped tanto, I know, but how many of us actually need to stab through car doors? Translated from Zulu, 'Sebenza Insingo' becomes 'Work Razor'. There's really no better description of the blade. It's not what I would choose for field-dressing a deer, but it excels at field-dressing cardboard boxes, which I'm much more likely to do. It's very hard to think of any warehouse or utility tasks where I would choose another blade pattern over the Insingo, and in the three months that I've owned it, the only other knives I've willingly used have had "Victorinox" stamped on them somewhere. The Sebenza's handle design is simple, subtle, and effective. Very slightly concave on top and bottom, this slab-sided titanium feels solid without needing any particular grip to work well. It's a small detail, but it makes a huge difference; the Sebenza is easy to hold and I know from feel where it is in my hand. There's a finger choil on the bottom just in front of where the knife naturally balances when open, giving it a secure hold and a lively feel. I was amazed to find that its handle is the same thickness as my broad and finger-grooved Caly3, because the Sebenza is noticeably more agile and dexterous to use. I actually work my way down a line of cardboard boxes faster and more confidently than I do with my Caly3 or Medium Voyager, which have blades of similar lengths. I hadn't expected that at all, but there's just something about the shape and balance of the Sebenza that works better – for me – than everything else I own. The Sebenza's clip took a while to get used to. It has a secondary bend in it that seems sized to securely hold the top of a jeans' pocket, which is a sensible thing for an American-made knife to have. This gives it a strong hold, but also needs a little more care when putting it away. And for some reason the Sebenza's clip seems unusually willing to catch on my usual messenger bag or computer chair. But a simple hex wrench, included with purchase, is all that's needed to remove the clip to bend it back into shape. That same wrench can completely disassemble the knife for cleaning or maintenance, as well – there's no reason why this tool shouldn't last for decades. 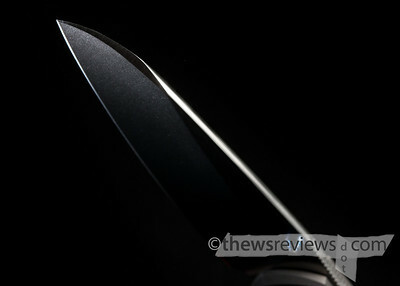 The Sebenza is expensive, but the Sebenza Insingo – Sebingo – is my perfect knife. The blade is the right size, the handle has the right weight, its construction is flawless, and its pedigree is beyond reproach. The only criticism I can really level at it is how quickly the blue anodizing has worn from the thumb stud, but I was planning on sending it back to Chris Reeve to have it replaced with a silver double stud regardless. The fact that that might even be an option is pretty cool. One thing I haven't been able to determine is if the Insingo is an attractive knife or not. No, it's not really relevant, but my Benchmade Stryker is almost ridiculously good-looking, and it wouldn't hurt if the Seb could keep up. The slab-sided swedge doesn't really match the aesthetic of the rest of the knife, and the blade profile is certainly unusual, creating a slightly odd combination. But the way it feels and works is very convincing, so that's enough for me. It's too soon to know if the Insingo has satisfied my desire to own one really good knife, or if it has just set a new high-water mark for my budget and introduced me to a new manufacturer. It certainly isn't the last knife I'm going to buy – I've already picked up a couple of new little ones – but it has changed what I look for.